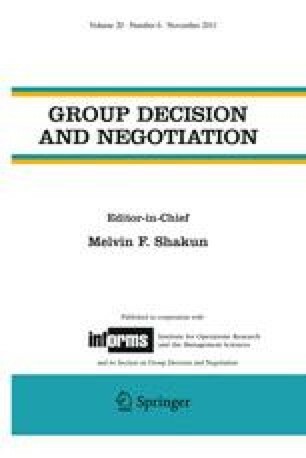 In this paper, fuzzy group decision making based on extension of TOPSIS (Technique for Order Preference by Similarity to Ideal Solution) method which was proposed by Chen (Fuzzy Sets Syst, 114:1–9, 2000) is adopted for facility location selection. In this method, the ratings of various alternatives versus various subjective criteria and the weights of all criteria are assessed in linguistic variables represented by fuzzy numbers. By fuzzy numbers, it has been tried to resolve the ambiguity of concepts that are associated with human being’s judgments. To determine the order of the alternatives, closeness coefficient is defined by calculating the distances to the fuzzy positive ideal solution (FPIS) and fuzzy negative ideal solution (FNIS). In Chen’s approach, the distance between two fuzzy numbers is calculated with vertex method. But in this study, different distance measurement methods are used and the results are compared. Finally the proposed method has been applied to a facility location selection problem of a textile company in Turkey.